There has never been a better time to enjoy sweet peas, as the range of varieties on offer spanning heritage to new launches gets ever wider, with breeders making real breakthroughs in terms of flower size, bloom performance and scent. Although sowing them in autumn provides the longest growing season and earlier flowering, sowing them now in a cool glasshouse or conservatory will generate larger plants that will grow away more strongly than with later sowings. 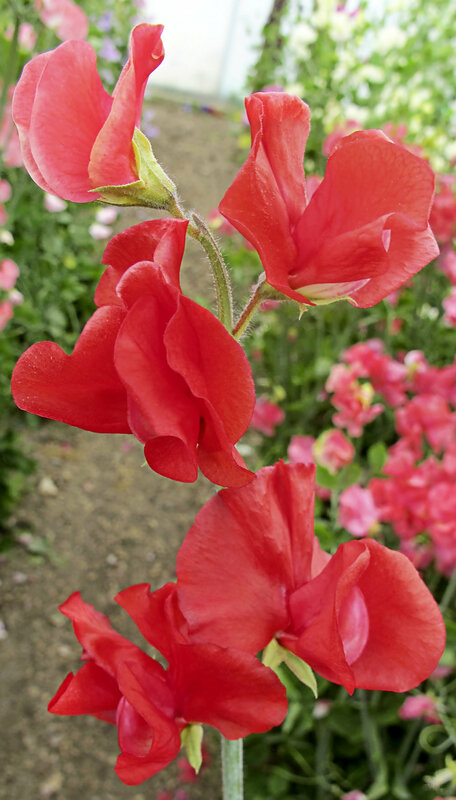 Most sweet peas are Spencer or multiflora varieties, with frilly flowers on longer stems, ideal for cutting or exhibition, while Modern Grandiflora or Old-fashioned varieties have more abundant but smaller flowers with a strong scent – ideal for the garden. There are races of sweet peas that flower at slightly different times, because of their differing responses to day length. Normal summer-flowering sweet peas need 12 hours of daylight, spring flowering varieties 11 hours and so-called winter flowering 10 hours. All can be grown together, but the Spring and Winter types will flower a few weeks earlier depending on the weather. If winter flowering varieties such as the Solstice series are sown in July they can be made to flower in the early months of the year if grown under glass in warmth. 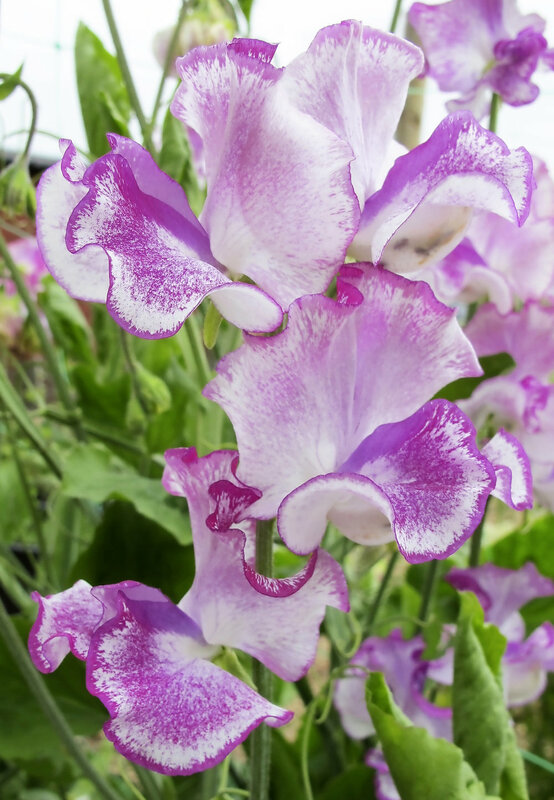 While most sweet peas grow to around 1.8m (6ft) or more, the Solway series is more compact at 1.2m (4ft), so ideal for pots, while the Cupid series is very dwarf and slightly spreading, reaching around 30cm (12in), so ideal for hanging baskets or bedding. 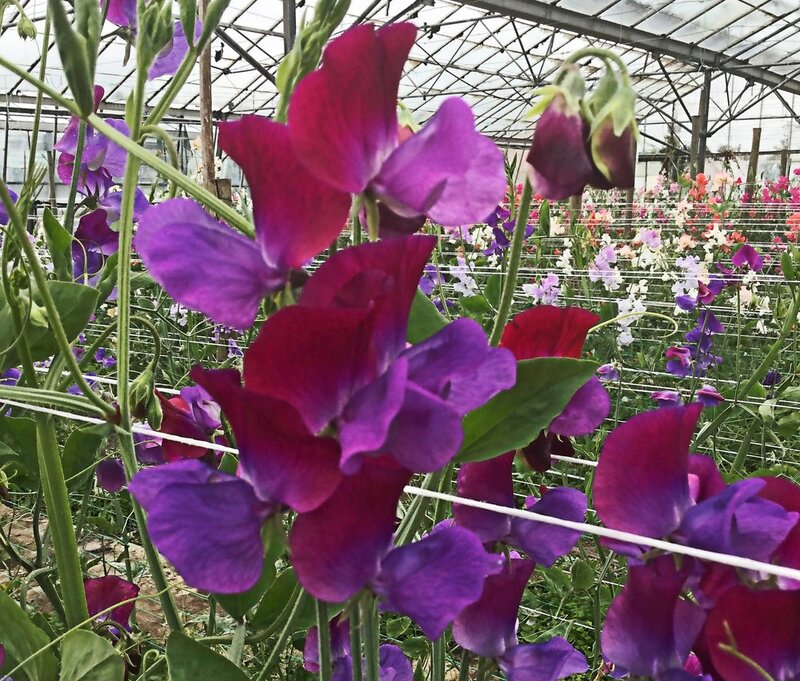 In recent years New Zealand-based breeder Keith Hammett has released a range of novel varieties, including tricolours and some which change colour as they age, even when cut, such as ‘Blue Shift’ and ‘Turquoise Lagoon’, although the quest for a strong yellow sweet pea is still ongoing. Space sow sweet pea seeds in modular trays, germinating at 15C (59F), transplanting into 7.5cm (3in) pots or Root Trainers when large enough to handle. Pinch out shoots at two leaves to encourage branching. Grow on and harden off, planting outdoors from mid- April.